As the 2012 Masters at Augusta National kicks off full swing this week, fans will generally acknowledge that they kind of know what to expect from the participants by now. After the way he flamed out last year, we are all well aware of what Rory McIlroy is like at both his best and at his worst. Similarly, given everything we’ve seen from Tiger Woods over the last few years, we are fully aware of what he looks like when he’s on his game (see: the Arnold Palmer Invitational) and when he’s off his game (see: every tournament he played in for two and a half years before the Arnold Palmer Invitational). And yet, even with this general knowledge of the peaks and valleys that the big name superstars participating in this year’s Masters are capable of going through, predicting their scores in the first round is a tough, tough feat. For example, while Woods is being regarded as the favorite to win this whole event this week, he gets off to notoriously slow starts at the Masters (even the case when he was good). As a point of reference: Woods’ first round average at the Masters over the course of his career has been a 72.1. For comparison’s sake, his second-round average is a 70.4 and his third round average is 69.8. Quite the stark difference, right? In fact, Woods hasn’t actually posted a score in the 60s in the first round in 11 years. 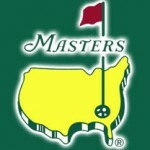 So, with all that in mind, odds makers have the over/under on Woods’ first round at 70.5 on 2012 Masters Odds. Rory McIlroy, Phil Mickelson, Lee Westwood and Luke Donald are also all being listed with a 70.5 over/under in the first round. What does that mean? It means that everyone acknowledges that Woods is a slow starter, and that everyone expects him to heat up eventually – but that in the first round he’s on equal grounds with all of the aforementioned players. The first round over/under for Justin Rose, Adam Scott, Hunter Mahan, Keegan Bradley, Jason Day and Charl Schwartzel is 71.5.